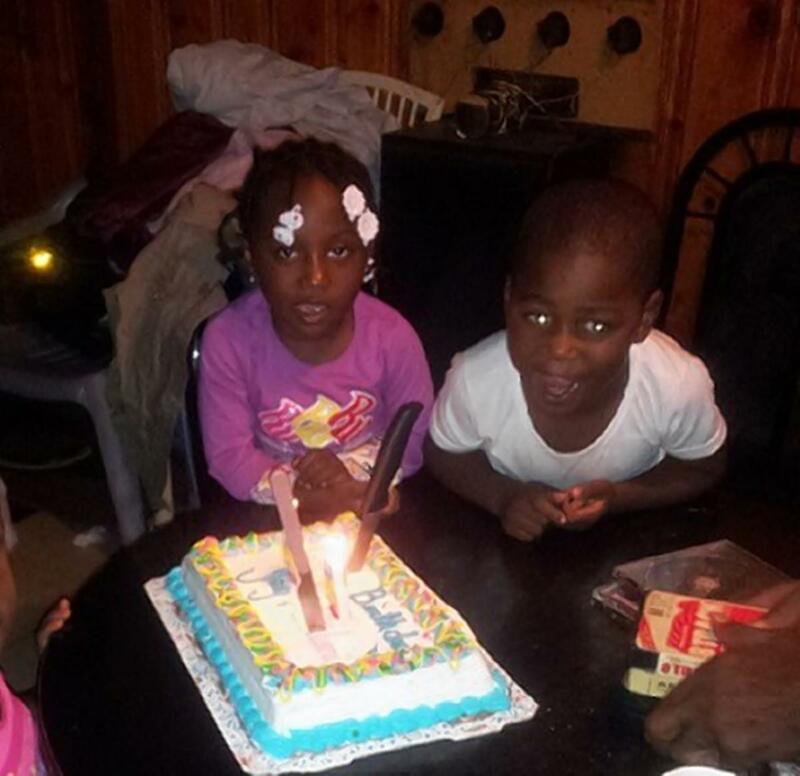 A couple died and their 17 year old daughter was injured in a home fire in Brooklyn, NYC. 61 year old Howard Gluck and 59 year old Evelyn Gluck as well as their 17 year old daughter were sleeping in their two-story home located on 44th Street between Fort Hamilton Parkway and 12th Avenue in Borough Park, when a fire broke out on the first floor and spread to the second floor around 3:45 am yesterday morning. The FDNY told the media that the fire had probably been going for a while until someone noticed it and called 911. By the time the firefighters arrived, the fire had already engulfed the stairwells. The couple was found unconscious in a back bedroom on the second floor of the house. They were rushed to the hospital but it was too late and they both passed away. Their daughter was found on the roof of the porch and rescued by the firefighters. She suffered injury and was also transported to the hospital to be treated. She is now in stable condition. The daughter survived because she was able to climb out to a first floor landing before being rescued by the firefighters. The Glucks had been living in their house for nearly 40 years. They were the first Jewish family to move into the neighborhood and beloved members of a tight knit community. Everybody was in shock yesterday in the neighborhood. Maureen Weiner, who had been living in the house next to them for almost 40 years as well was devastated by the news. She said they were the nicest people. 138 firefighters were called to the rescue to keep the blaze under control and make sure it didn’t spread to neighboring houses. 3 firefighters also suffered minor injury in the exercise of their duty. According to the fire marshals the fire was accidental and caused by “careless cooking/grill”. There were no smoke detectors installed in the house. A preliminary investigation into the ambulance delay related to a deadly fire in Queens (see previous blog) lead to the suspension of 3 FDNY dispatchers and their supervisor. The Fire Department of New York is investigating why it took 21 minutes for an ambulance to get to a fire that broke out in a home in Far Rockaway, Queens last Sunday. The calls arrived in the 911 system at 11:51 am and at 11:56 am the firefighters arrived at the location of the blaze. The firefighters pulled two 4 year old children, Jai’Launi Tinglin and Ayina Tinglin (picture), from the fire and tried to resuscitate them but they were unsuccessful. They were asking: Where is EMS? Where is EMS? 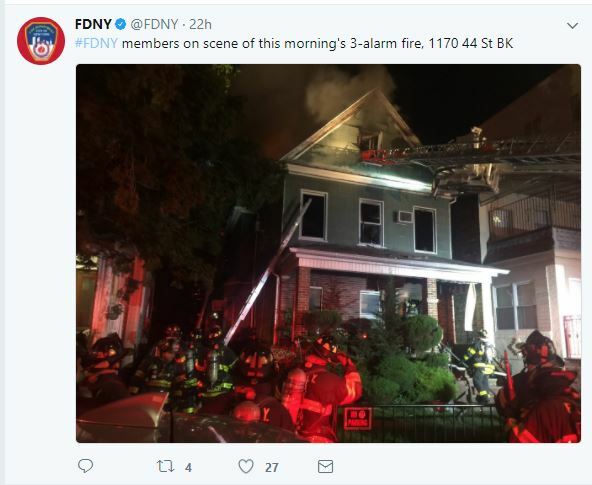 According to the NY Daily News, the ambulance was only dispatched to the fire at 12:05 am, 14 minutes after the 911 call and arrived at the scene at 12:12 am, 21 minutes after the first call to 911. It is not the first time that glitches happen with New York 911. In June last year, Ariel Russo was struck and killed by a reckless driver on the Upper West Side and glitches with 911 led to a 4 minute delay in the arrival of the ambulance. The Russo family is suing the city for negligence. When OSHA inspectors visited RWS, a plant that makes wood shavings for animal bedding, they found explosive combustible shavings all over the equipment and the floor with accumulation reaching as high as one foot in some areas. Adding to that employees were authorized to smoke in locations where excessive wood dust and wood shavings created a high risk of fire. RWS Manufacturing plant in Queensbury, NY,deliberately, seriously and repeatedly violated worker safety and health standards and is now facing $233,870 in fines by OSHA. Since its opening in Quennsburry, NY, 5 years ago, RWS Manufacturing plant has been the objects of multiple complaints by neighbors. It also has a long history of issues with the town’s enforcement codes related to noise, smoke and lack of groundwater control.